Niche relevant links methods is safe and very effective for rank of any Keyword or website. My service completely manually method and give you 100% result. All links are Nofollow and from blogspot. 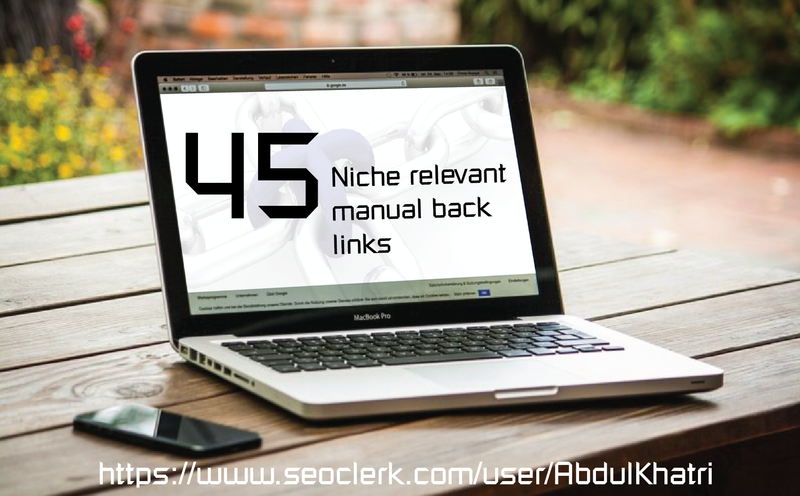 I Give 45 Niche Relevant Manual Blog Comments Links is ranked 5 out of 5. Based on 1 user reviews.